Want to see your kids understand gratitude? Want your kids to develop year-round thankfulness? We live in a microwave, gotta-have-it-now society. Convenience is put before gratefulness and immediate gratification is front and center. We have to work hard as parents to instill an attitude of thankfulness in our kids. However, God didn't leave us empty handed. The Bible is full of references to thankfulness that we can use to teach our kids the whys and hows of developing an attitude of gratitude. 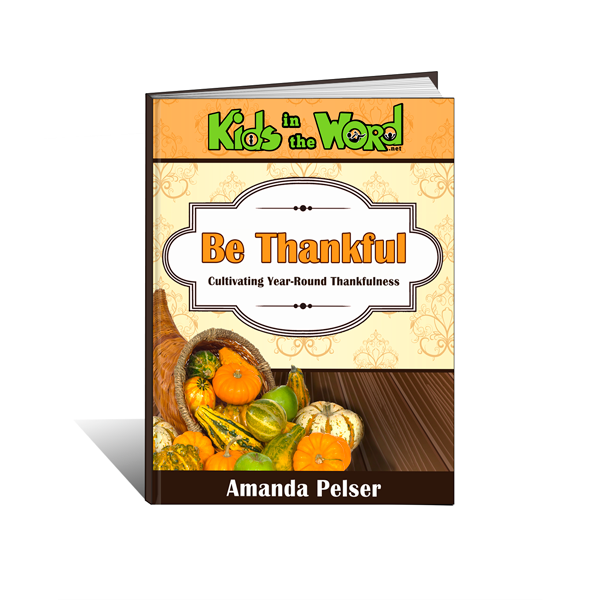 Be Thankful: Cultivating Year-Round Thankfulness is a Bible study written for all ages to help you in your pursuit of instilling thankfulness in your kids. Chapter 2–Why Give Thanks to God? Chapter 3–How Should You Give Thanks to God? Part 2–For What Things Should We Give Thanks to God? Get Your Kids in the Word! The Appendix of Be Thankful is packed full of printable journaling pages. 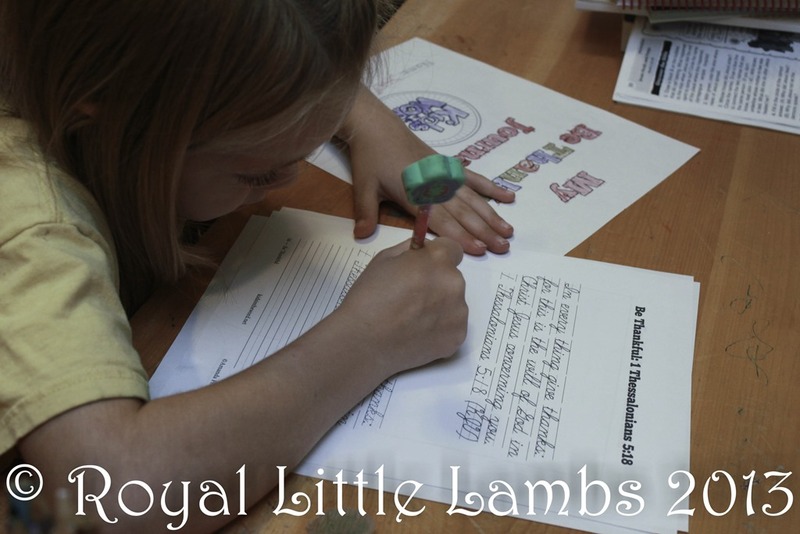 One file has King James Version printables and the other has English Standard Version printables. You will be able to create the perfect journal for each child in your family–from the non-writing preschoolers all the way up to your teens–and for you too, Moms and Dads! Use Be Thankful as you head into the holiday season to combat the commercialization and selfishness of Thanksgiving and Christmas. Or use it at another time of year as a reminder to always be thankful. The hardest part of Bible study is getting started. Be Thankful is a tool to guide you through the Bible on the topic of thankfulness. The verses are laid out for you. 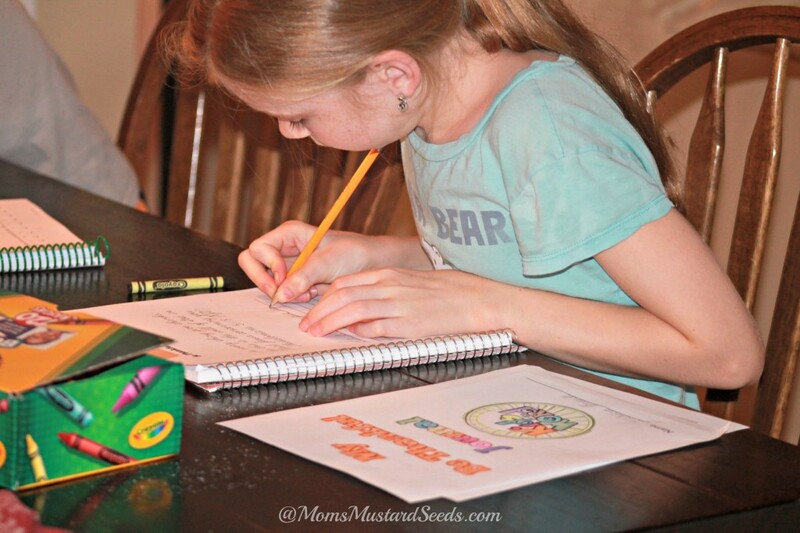 All you have to do is read the Scriptures to your kids and guide them in creating a thankfulness journal. What are you waiting for? Jump in and cultivate year-round thankfulness with your kids with Be Thankful. Want to See a Sample Chapter of Be Thankful? Request a sample chapter of Be Thankful using the form below. The Bible is full of references to thankfulness that we can use to teach our kids the whys and hows of developing an attitude of gratitude. 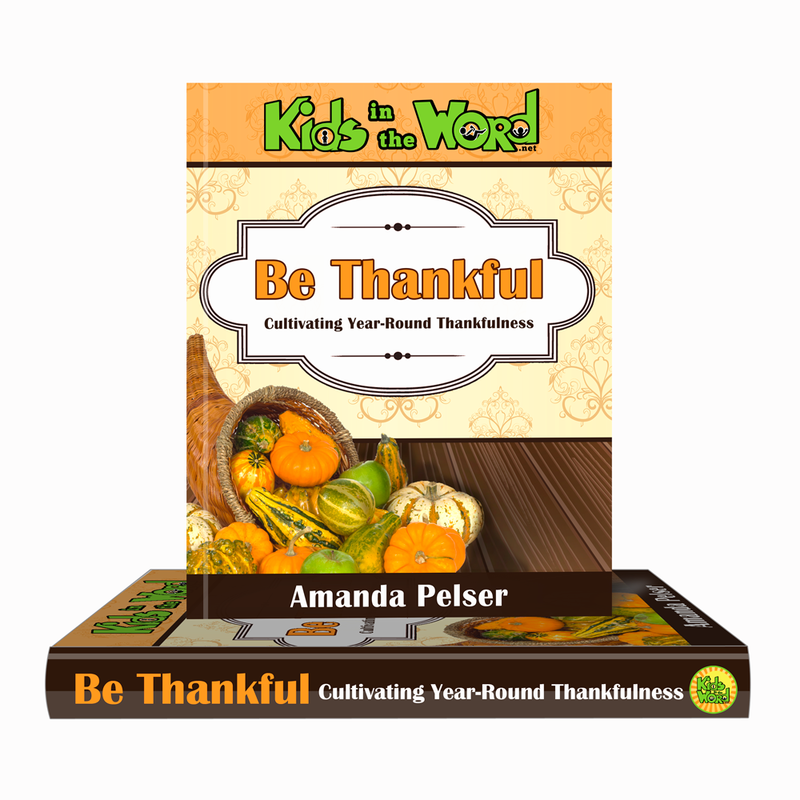 Be Thankful: Cultivating Year-Round Thankfulness is a Bible study written for all ages to help you in your pursuit of instilling thankfulness in your kids. Get this sample of the ebook for free!